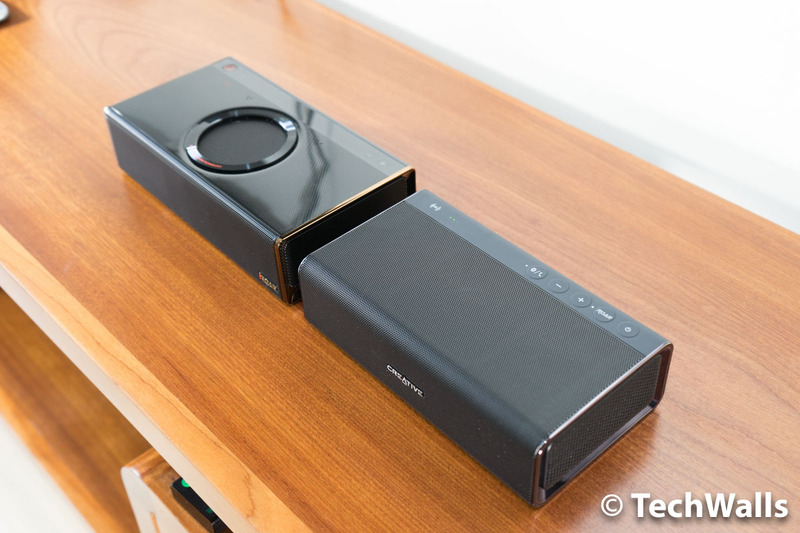 Creative introduced the new Sound Blaster Roar Pro along with the critically acclaimed iRoar. 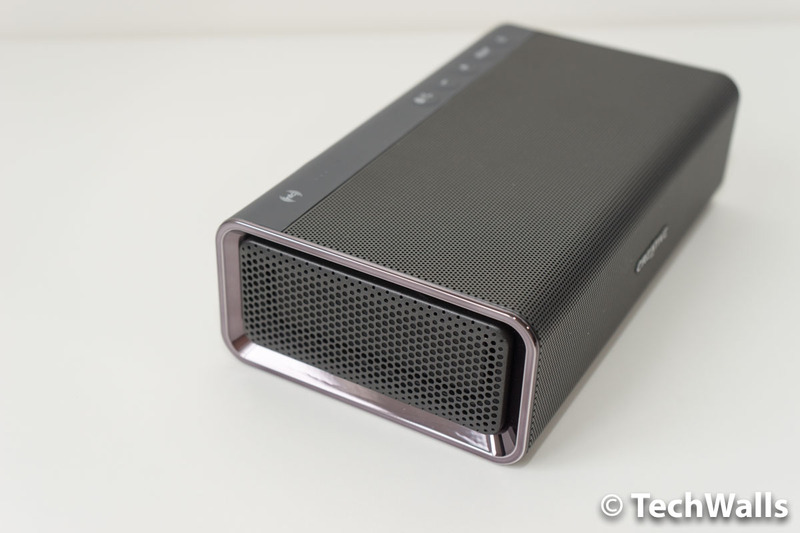 The Roar Pro is the cheaper version but it is still highly anticipated because its predecessor, the Roar 2, was an amazing Bluetooth speaker. Is the Roar Pro really worth the upgrade? We’re going to find out in the review. The Roar Pro looks so similar to the older Creative’s models as it features almost the same design with aluminum chassis, 5 driver system and high-quality materials. 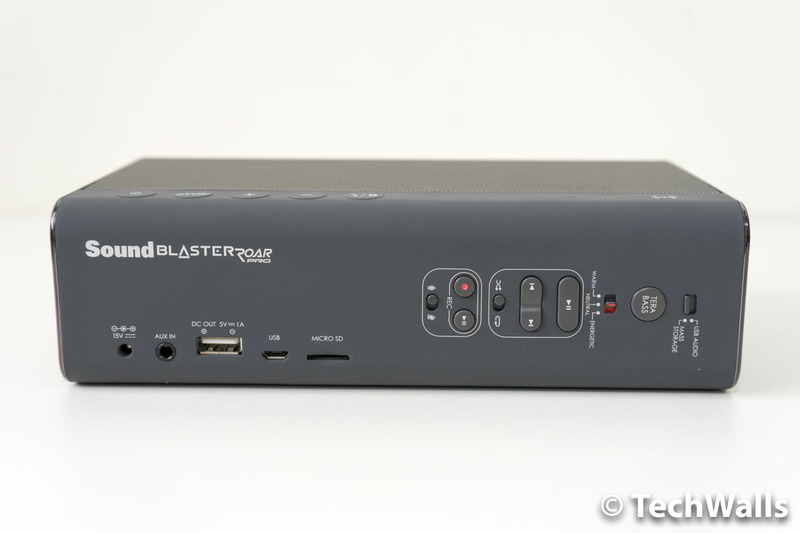 Surprisingly, it is more identical to the original Sound Blaster Roar, instead of the more recent Roar 2. You can see that they have the same size, button layout and connections. 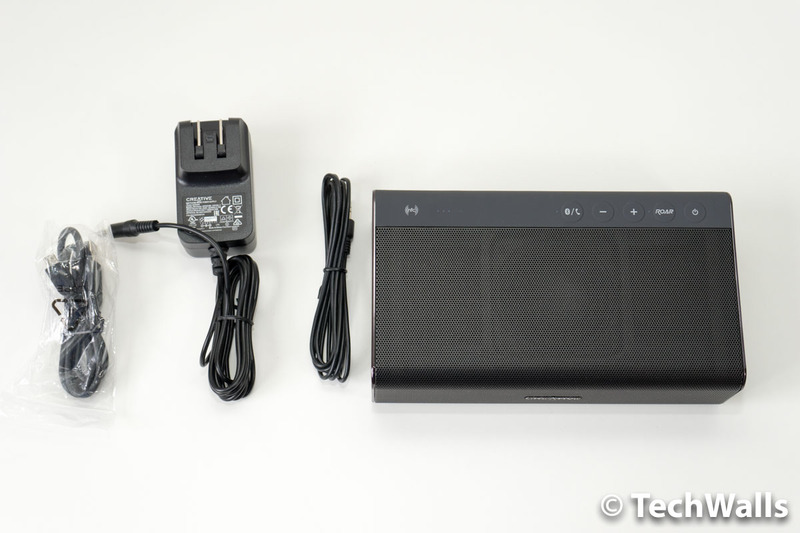 The speaker comes with some accessories like the proprietary power adapter, auxiliary cable and micro USB cable. On top of the speaker, there are an NFC tag, a battery indicator, Bluetooth/Phone call button, volume up, volume down, ROAR button and Power button. On the back, you still see familiar buttons and ports like AUX in, DC Out, micro USB port, microSD slot, recording buttons, playback buttons, Tera Bass button and USB Audio/Mass Storage switch. There is actually a new switch here to change among 3 preset audio profiles, which are Warm, Neutral and Energetic. Similar to other Creative speakers, you can play music from your computer via the micro USB cable, from a microSD card, wirelessly from your mobile device or any other source via the AUX audio cable. Creative also uses the same 6,000mAh battery for the speaker, however, the battery life is slightly improved thanks to the electrical efficiency in the circuit. It is rated at 10 hours, as compared to 8 hours on older versions. Another notable feature is that it works with iRoar Mic. That means you can transform the speaker into a personal Public Address system. This will be helpful if you need to make presentations, public speaking or teaching in small rooms. You even can have fun with some karaoke sessions and then record your own voice with the built-in recorder. 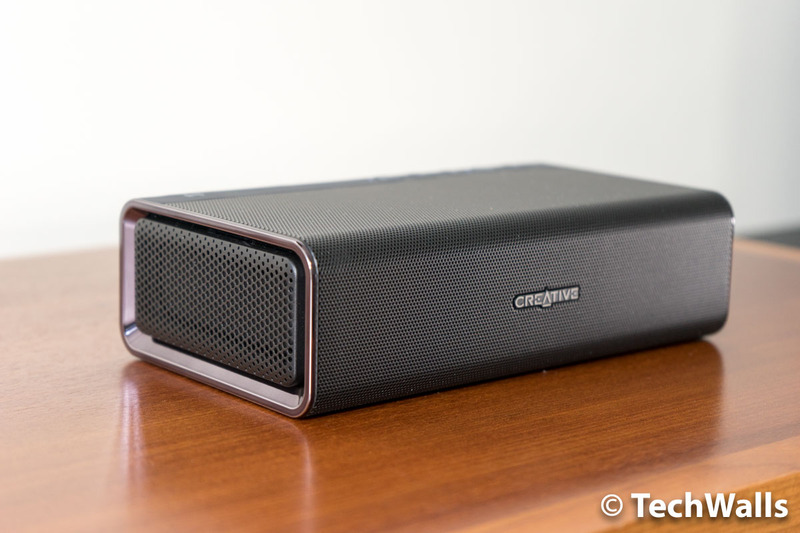 I quite love the sound signature of Creative’s Bluetooth speakers as I find it more balanced and enjoyable than the sound of the Bose Soundlink series. They deserve to be the best wireless speakers in the sub-$200 price range. You can check out sound test of the Roar Pro here. You can see that there is no significant difference in sonic characteristics between the Roar Pro and Roar 2. However, the Roar Pro might not become my primary wireless speaker because Creative created the superior iRoar that I enjoy very much. I created a video comparing the sound between the iRoar and Roar Pro, check it out right below. You might have already been satisfied with the Roar 2 and Roar Pro but once you turn on the iRoar, it’s difficult to come back. The iRoar performs better outdoor, it produces a warmer sound with deeper bass and amazing soundstage. Having said that, the Roar Pro is still an excellent choice, especially when it costs just half the price of the iRoar. The audio profile switch on the back is also pretty helpful. You can change to Warm for soothing audio with more warmth and richness, or Balanced for a more neutral sound, or Energetic for a brighter sound and wider soundstage. I often use the Roar Pro with ROAR mode on and switch to the Energetic profile because the Balanced profile still sounds a little muddy for me. This is probably the only improvement of the Roar Pro from the Roar 2, so I guess you don’t need to upgrade if you already own the Roar 2. It looks like Creative made the Roar Pro to replace the Roar 2, they almost have the same price at the moment. 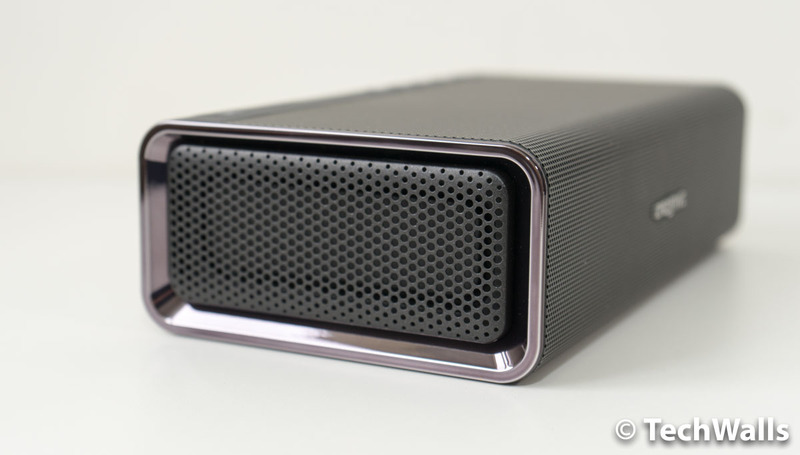 The Roar Pro has similar design and sound, and there are just some minor improvements. It is not worth the upgrade but I highly recommend it to any new owner.